You’ve got so much to offer and so much to share with the creative sewing community. When you join our faculty at Original Sewing & Quilt Expo events, you become a vital part of those “Ah-Ha” moments that happen in the classroom to thousands of attendees each year. Those moments are magical and your technique, your approach or your products can be the game-changer in the creative lives of many enthusiasts. They’ll meet you in class and in your booth, then take your inspiration home to use every time they sit at their machine. Step 1: Fill out the Class Proposal Form. Select your event city/cities of interest and submit up to two class ideas per form. Step 2: Once selected as a teacher, we will ask you to fill the Class Detail Form. This form covers all the details for each class, which allows us to represent it accurately to the students. Click here for Teacher Terms and Conditions. 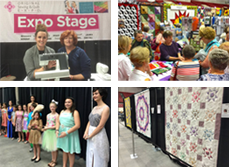 Original Sewing & Quilt Expo and Martha Pullen Events are dedicated to providing exciting, high-quality classroom experiences at each and every event. Faculty members are experienced and passionate about their subjects. They bring essential techniques, innovative approaches and current trends to students in lectures and workshops morning, noon and/or night for three days in each Expo location. Time spent in the classroom greatly affects how attendees remember their Expo experience. Over the years the Educational Program at the Expo has proven to be positive and fulfilling, motivating attendees to return each year with a hunger to learn more. With that in mind, Original Sewing & Quilt Expo and Martha Pullen Events remain committed to providing a unique, comprehensive, varied and regionally appropriate educational program at every event. Teacher and class choices represent our best judgment about the market and the caliber and profile of the teacher and subject matter offered, particularly as it relates to other material being presented at the event. Workshops and lectures should be developed to share the newest ideas, techniques, products and trends with students. I'd like to teach. How does it work? While we contract with independent educators from time to time, the best case scenario is when a teacher is associated with a booth at the Expo. This can be a faculty member’s own booth or that of a corporate or retail sponsor. The connection between classroom and vendor booths is important, as students expect to find materials related to class content – supplies, tools, books and so on – when they shop in the Exhibit Hall after class. This is an essential part of students’ ability to use what they’ve learned in class, and to their year-long satisfaction and creative fulfillment as active enthusiasts. Please submit as many class ideas as you wish via our online forms as noted above. Be sure your description contains some sizzle and lots of steak! We need to know how students will benefit from the class information, what hurdles they will overcome and new inspiration they’ll find, what new concepts they’ll learn about, what they’ll leave knowing or having done (learning or projects), and so on – that’s the steak. The sizzle is where you reveal your approach, help us get to know your style or create emotional response in the reader. Not confident in your writing skills? Don’t worry! We edit and re-edit for content, space and, of course, maximum appeal before we publish. We talk with you to begin with, and class edits are shared back and forth until we all have what we want. As space in classrooms and in the printed event brochure is at a premium, becoming part of the Faculty is invaluable for all parties involved, and all classes chosen for publication are carefully considered with this in mind. Teachers who offer new, original and exciting material, whose personality and passion are revealed in their class offerings and who bring fresh and inventive class descriptions to the Expo are exactly what we’re looking for. Classes are promoted for their educational content, and students must feel they’ve received what we’ve promised. To that end, we make every attempt to maintain appropriate educational standards in the classrooms. Students should walk away with knowledge, ideas and inspiration they can use immediately, whether or not they decide to make immediate purchases. We are looking for faculty members who can provide solid education, support others’ creativity, personal fulfillment and satisfaction, and help students with idea and confidence-building in the classroom. Hard-sell language and repetitive references to one’s own products during class are discouraged. (Students are not shy about complaining if they feel they’ve paid for an hour-long “infomercial”.) Faculty members who disregard this policy will not be invited to submit class proposals in the future. Over and over we find a good teacher always excites students about her or his specialty and purchases naturally follow. Sales activity is not permitted in the classroom. Sales must take place inside the Exhibit Hall. The only exception to this may be for evening classes, after which the Exhibit Hall is not open. These teachers may bring product to class on a limited basis, with the understanding all sales activity is conducted after the class has ended. Upon arriving at an Original Sewing & Quilt Expo event, you should report to the Exhibitor Check-In area (located by the Registration Desk / Main Entrance) where you will receive your name badge and other classroom paperwork, such as your Materials Fee Reimbursement Form (if applicable). From there, report to the Ambassador Desk where you can connect with a staff member to check in with, take note where class materials are stored, where your classes are located, if required AV is in place and so on. Please note: if you are using a data projector, please check to be sure your device (i.e. laptop, notebook, tablet) interfaces properly with the equipment in your classroom. This is best done either the day before class. If you need any class materials on-site and they are not already in your assigned classroom, check with a staff member at the Ambassador Desk, as most items such as special rulers, threads, hoops, rotary cutters, etc., are stored there. Schedules generally allow 30 minutes between classes; courtesy dictates you will have 15 minutes to pack your things and return the room to the way you found int, and the instructor following you will have 15 minutes to set up for the next session. It is perfectly acceptable to close the door of the classroom while this is going on, particularly as you prepare for class and are getting your thoughts together. Be prepared to open the door and invite students in at least 5 minutes prior to the official start time of your class. Make sure that you have collected all of your class tickets from each of your hands-on (workshop) classes. You will need to complete and turn in your Materials Fee Reimbursement Form (available upon check-in) at the Ambassador Desk at Original Sewing & Quilt Expo / Martha Pullen School of Art Fashion Boutique, before you leave the event, along with your collected tickets. Make sure your class ticket counts and your form are validated by a staff member. Material feels will be reimbursed 4 - 6 weeks after each event. Material fees, for the purpose of this form, may not be what is published, but rather are the material fee amounts you have submitted to us. Please either verify amounts at the Ambassador Desk, or leave the column blank, as we will complete it for you upon our return to the office. The verified form becomes your invoice and determines how you are reimbursed for any applicable materials fees and other class-count related fees (i.e. per-student bonus payments). How will my participation at the event be promoted? Faculty members are prominently featured in the printed event brochure; at www.sewingexpo.com on the Faculty Page and in both the PDF and unabridged versions of the event brochure; and, wherever possible, in a special interest newspaper section distributed prior to the event in local newspapers and at the Expo as the Show Program. This invaluable promotion alerts attendees to specific class content and special interests of Expo Faculty members, allowing them to plan for shopping throughout the Expo with faculty members and/or their sponsoring retailers. 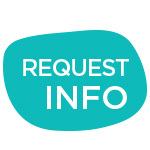 Those wishing to be considered for teaching positions must submit class proposals, samples, any audio/visual requests and your photo and biography by the posted deadlines. The logistics in creating an excellent program force our hand and our calendar. We appreciate your understanding and all your efforts in taking care of required details – details which go a long way in helping to produce a satisfying and profitable event for everyone. All teachers at Original Sewing & Quilt Expo and Martha Pullen Events are required to provide an informational handout for each student in class that supports, explains or enhances the classroom learning experience. This can be as simple as an outline of topics covered in class (with space for notes), directions to a technique described in class or a bibliography of related books or pattern numbers. (A price list of products is not the type of informational handout we are asking for.) Sample copies of handouts must accompany all class proposals. When we bring Original Sewing & Quilt Expo and / or a Martha Pullen Event to a city, we spend tens of thousands of dollars on promotion to make it a success. We expect every instructor and exhibitor in the program to respect this investment and to contribute actively to the effort to bring all enthusiasts to the event. Any scheduled personal appearances by featured instructors (with guilds and independent sewing retailers, for example) should occur outside the core marketing region (about a 2 hour drive) of the events during the 90 days immediately prior to or following the listed dates of the event. This arrangement also benefits the sponsoring organization or retailer, since their promotional dollars aren’t competing with event promotions. Limiting personal appearances to the areas outside the primary event marketing radius – and calendar months – is the best way to keep everybody busy, happy and profitable.